This stylish urban retreat on a private beach shares facilities with its sister Shangri-La hotel. 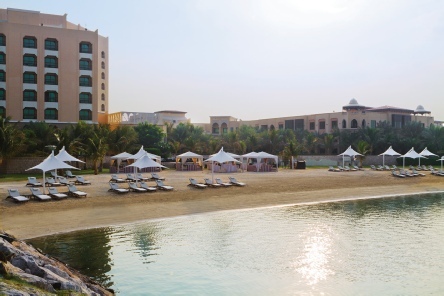 Part of the expansive Qaryat Al Beri complex and the Shangri-La group, Traders is a contemporary hotel in an excellent location close to the Corniche and with a private beachfront. 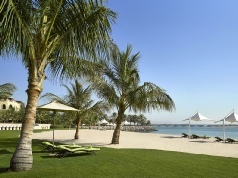 On a private beach, close to local facilities such as the golf course, the Corniche and the city centre. The rooms have views of the canal or the city with Superior Rooms generously sized and Deluxe Rooms providing additional living space. If you choose a Traders Superior Room, you'll have free access to the exclusive Traders Club Lounge with benefits including express check-in/out, a range of complimentary refreshments throughout the day and cocktails in the evenings. As well as a fitness centre and outdoor swimming pool on site, there's the fantastic CHI, The Spa at Shangri-La, at the neighbouring Shangri-La Hotel Qaryat Al Beri (at extra cost). The cuisine at Traders is international, meaning all guests are catered for. If you wish for a change of scene, reserve a table at one of the restaurants at Shangri-La Hotel Qaryat Al Beri (payable locally). 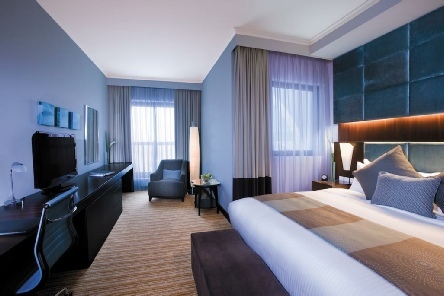 2019 package holidays to the Traders Hotel Qaryat Al Beri Abu Dhabi Prices are per person based on two sharing.